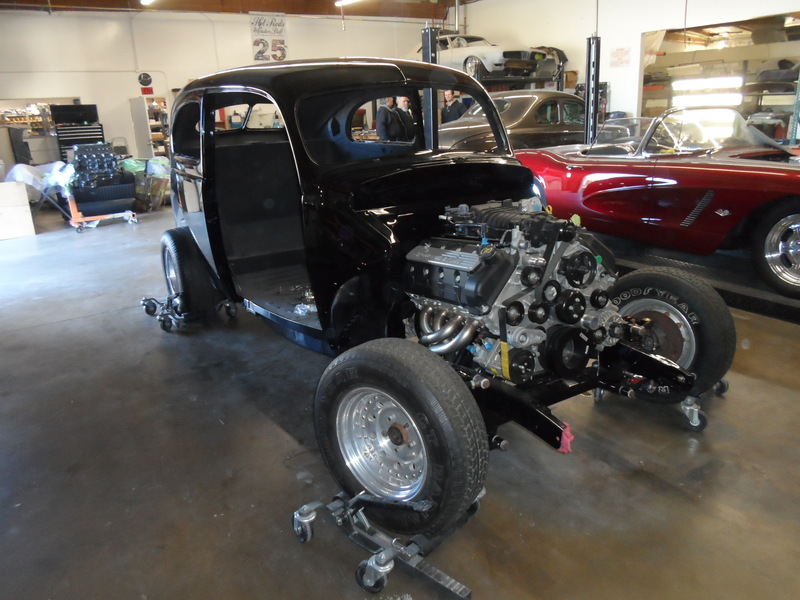 Tour - Hot Rods & Custom Stuff Inc. 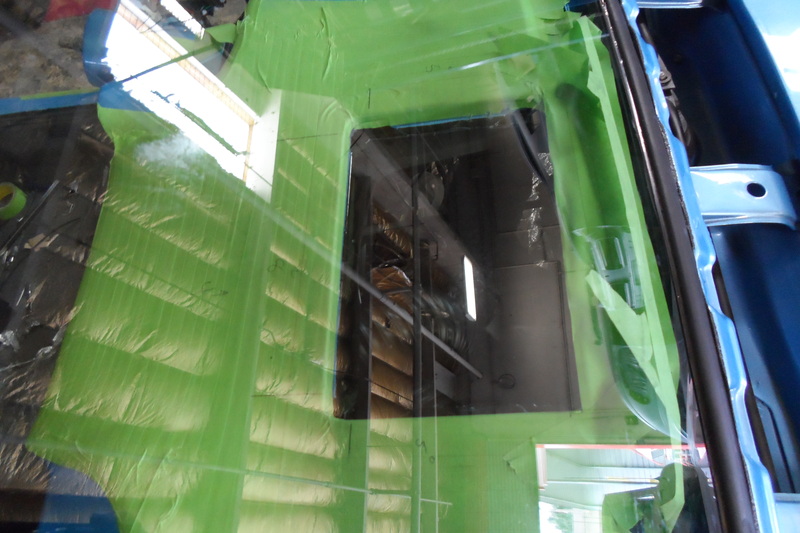 This is a brief video our of our facility. 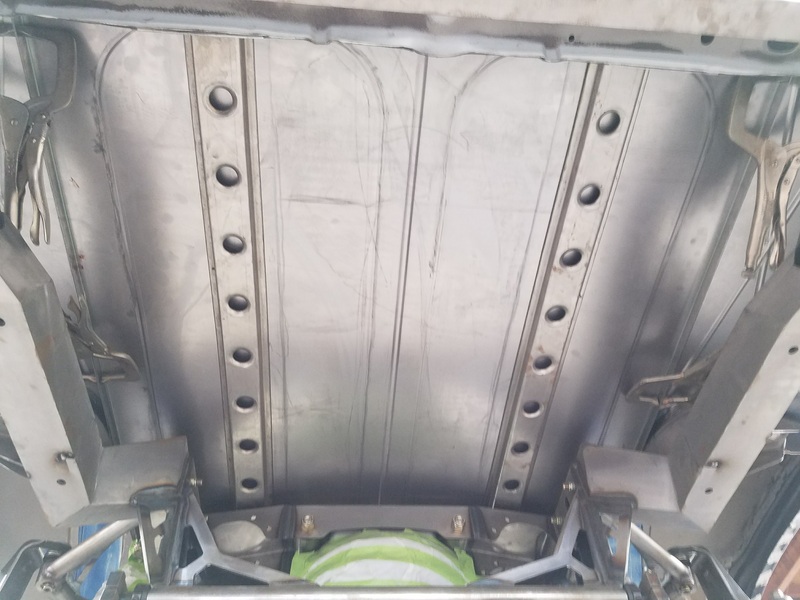 It is recorded in 360 degree, so feel free to pause and either drag your computer mouse or rotate your phone or tablet to take a good look around. 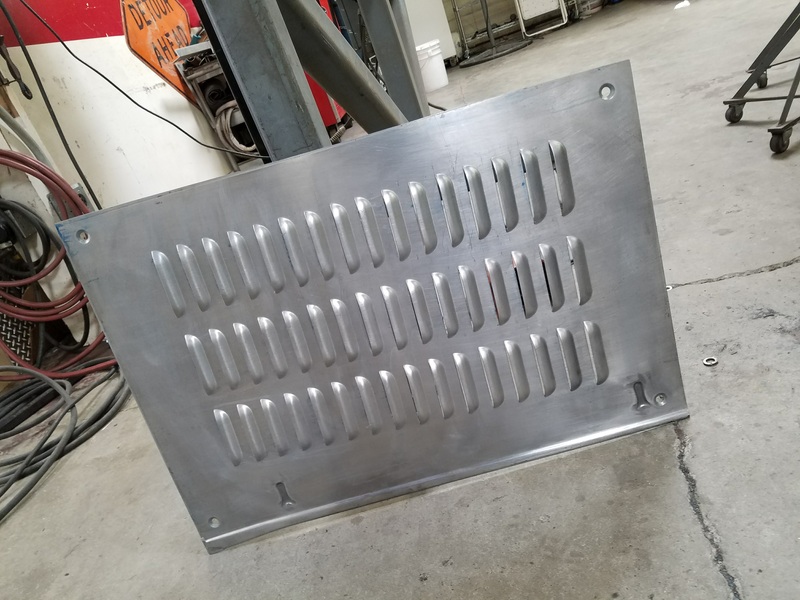 Every project starts with a good foundation. 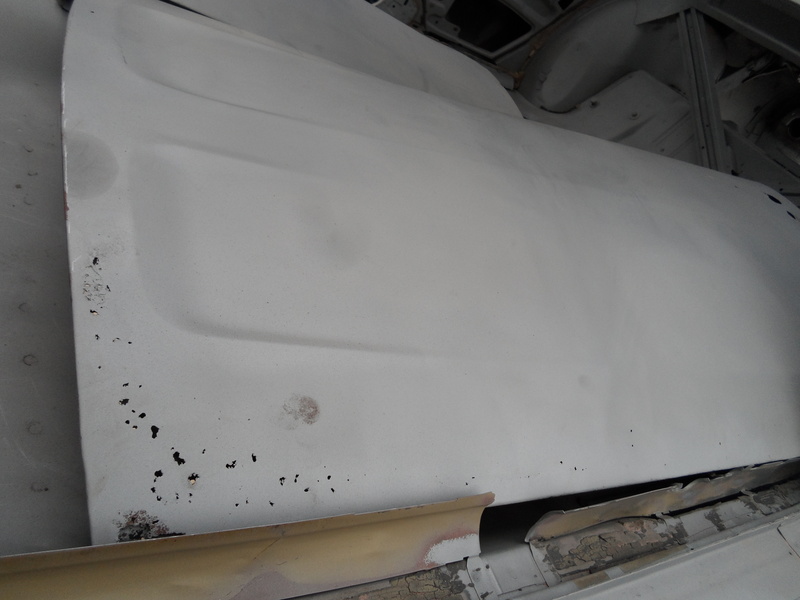 We have learned in our experience, you can't always trust the work of others hiding under what appears to be a decent paint job. 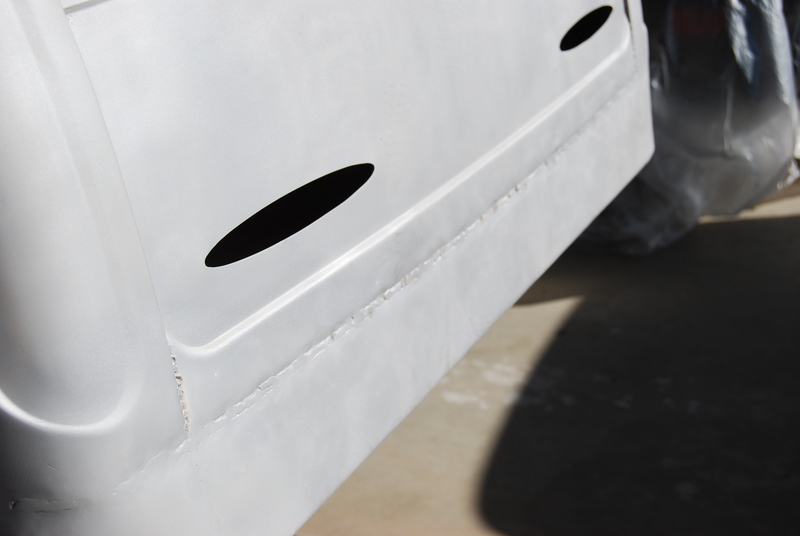 Inexpensive filler shrinks and cracks, the smallest amount of surface rust can cause major issues down the road, and proper preparation of the painted surface does not always take place. 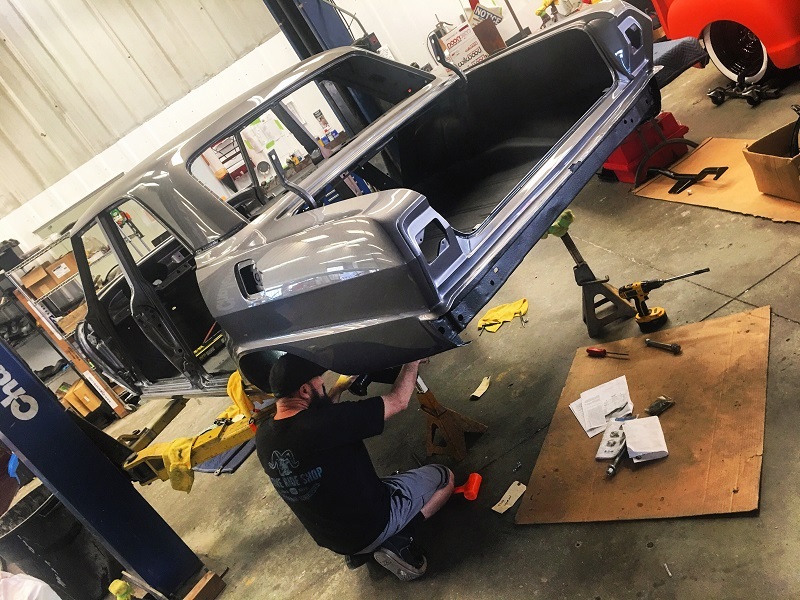 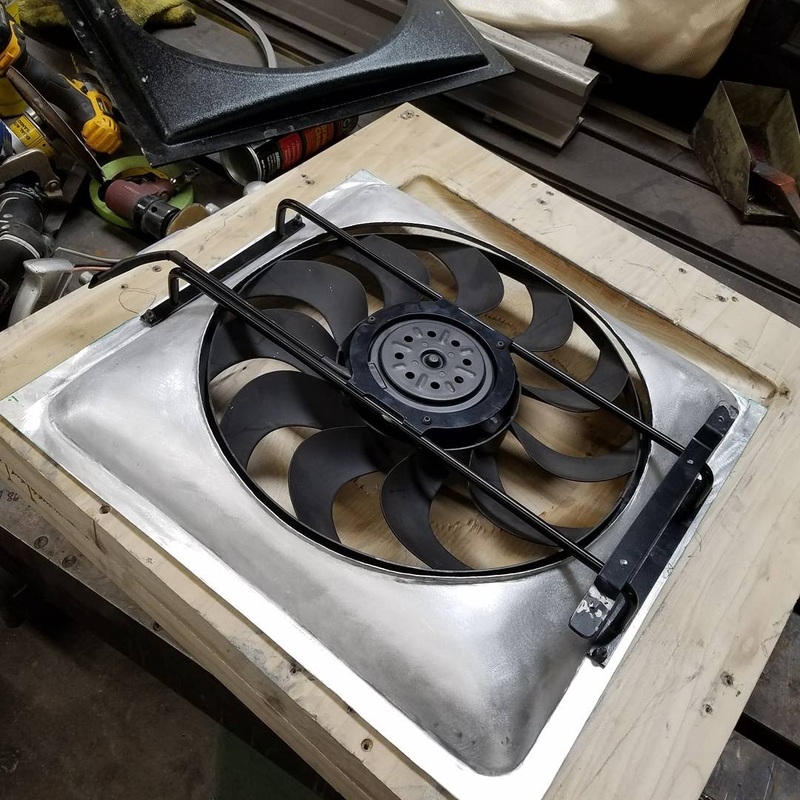 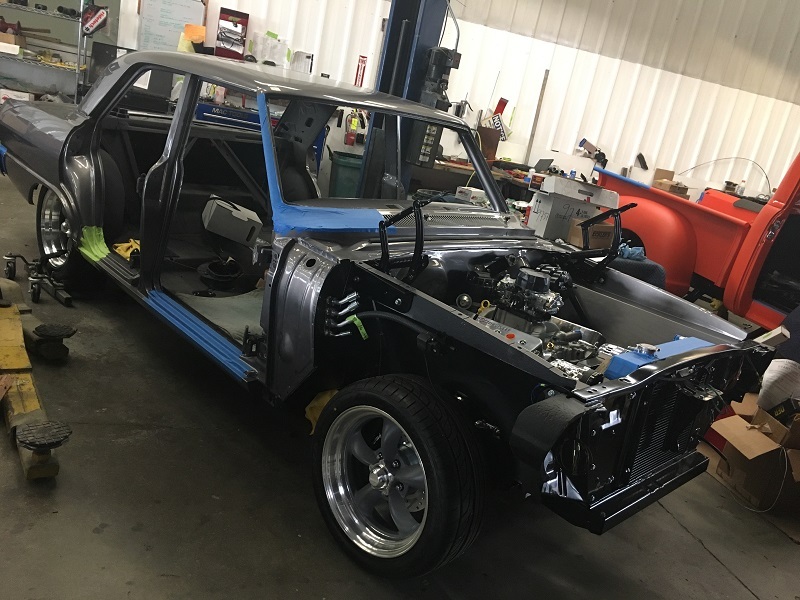 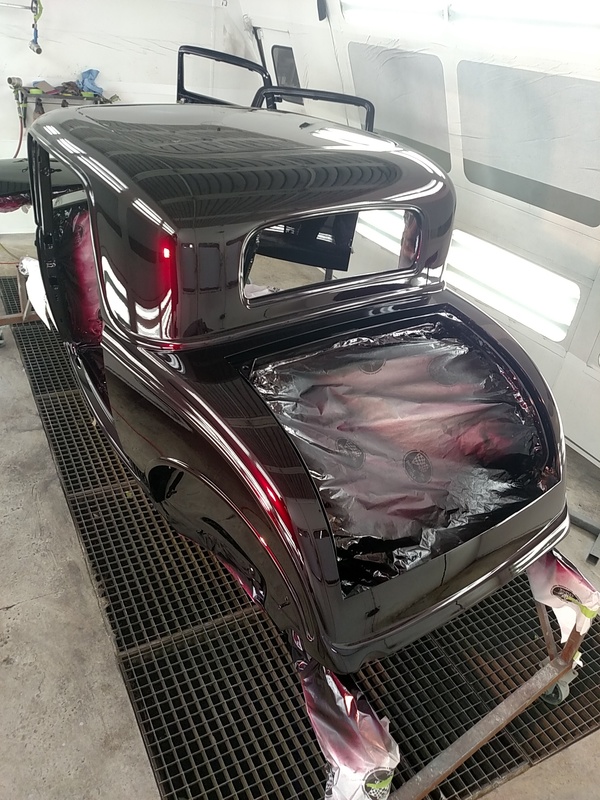 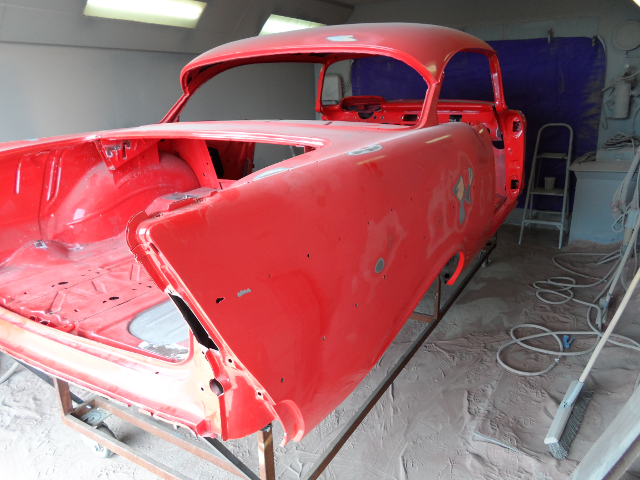 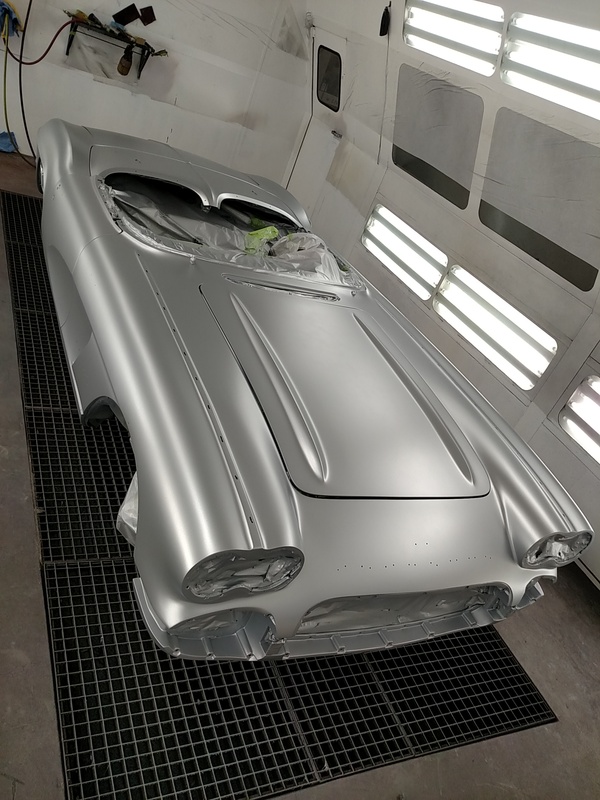 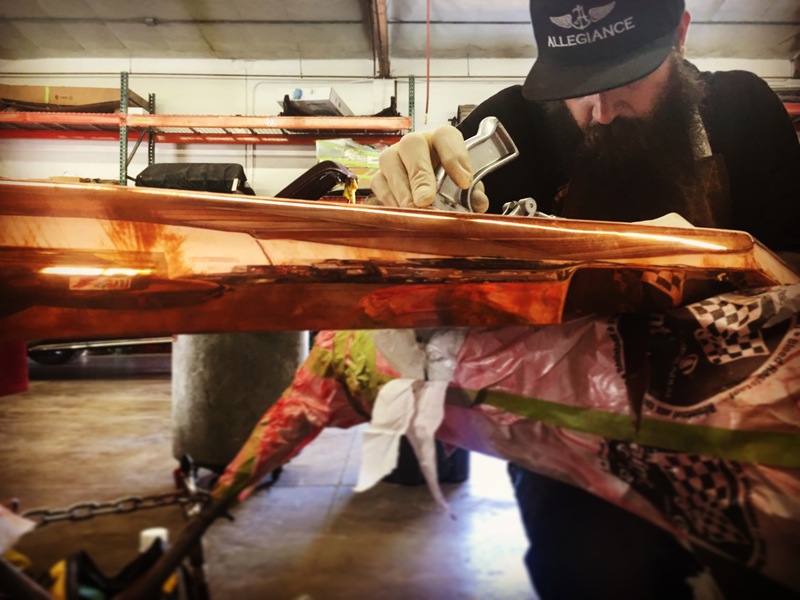 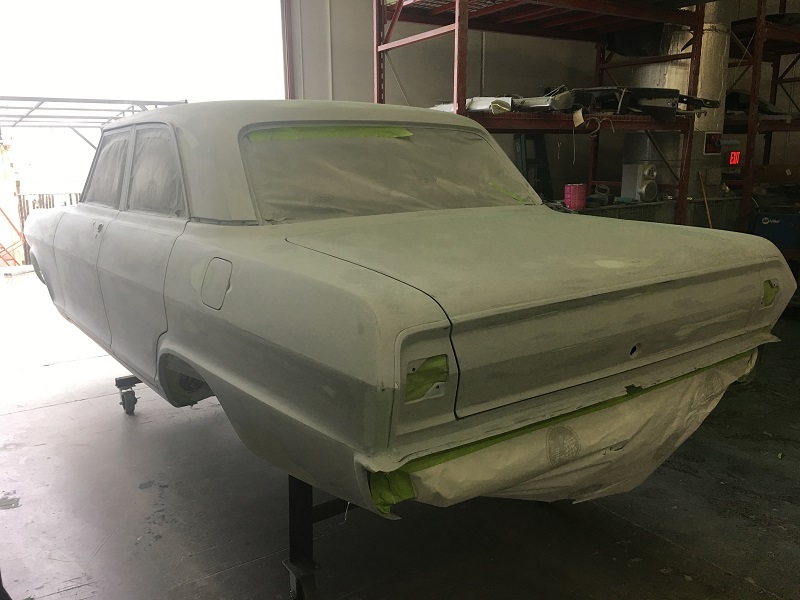 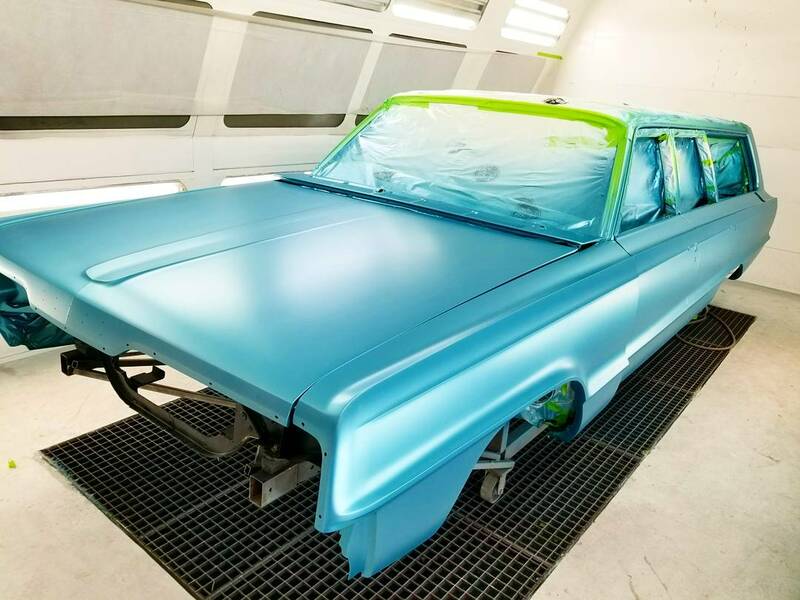 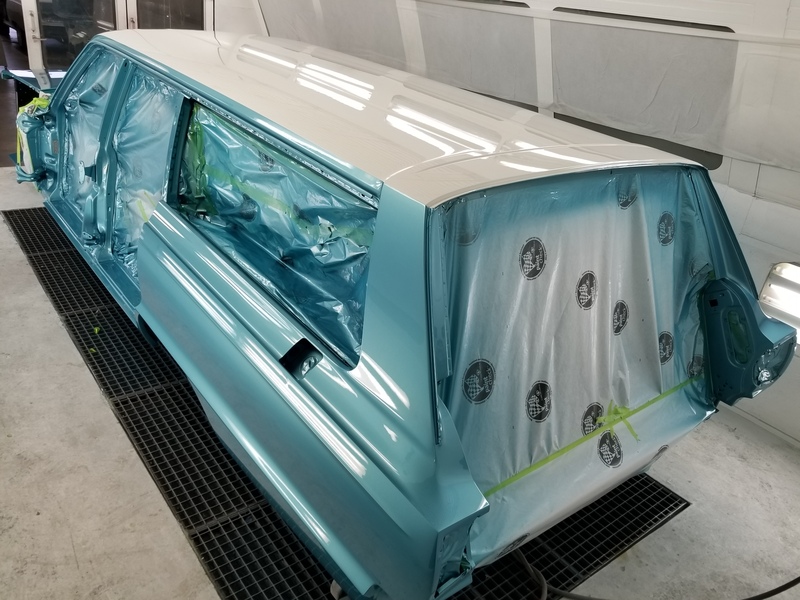 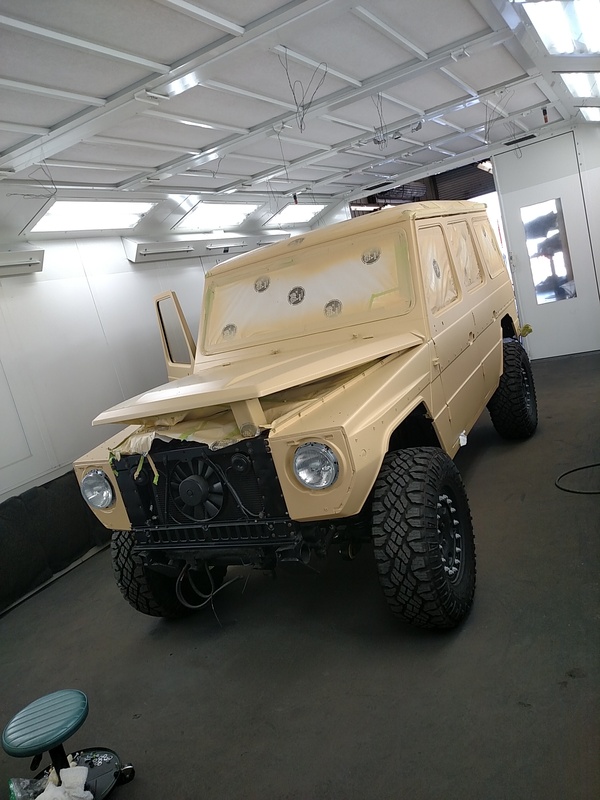 Our award wining paint jobs usually starts with this process of disassembling the body and taking it down to bare metal to start with a good solid foundation. 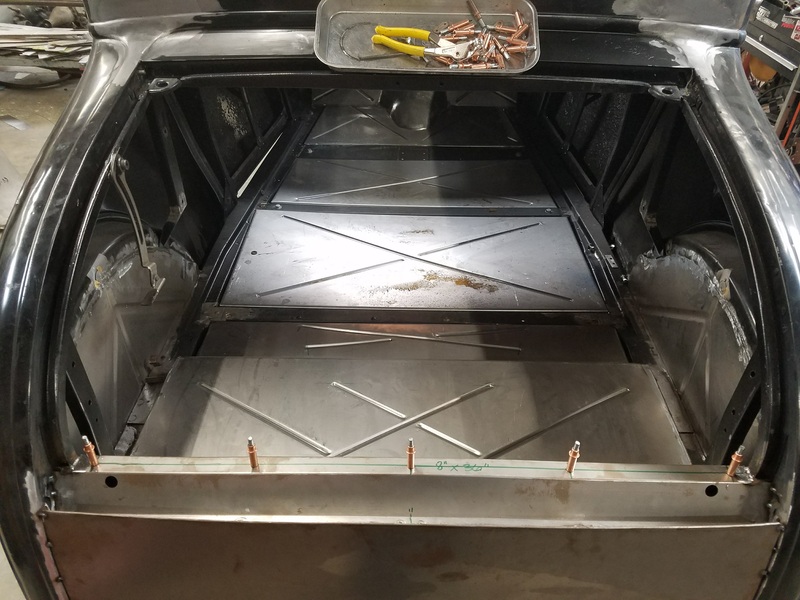 This is where we continue our solid foundation. 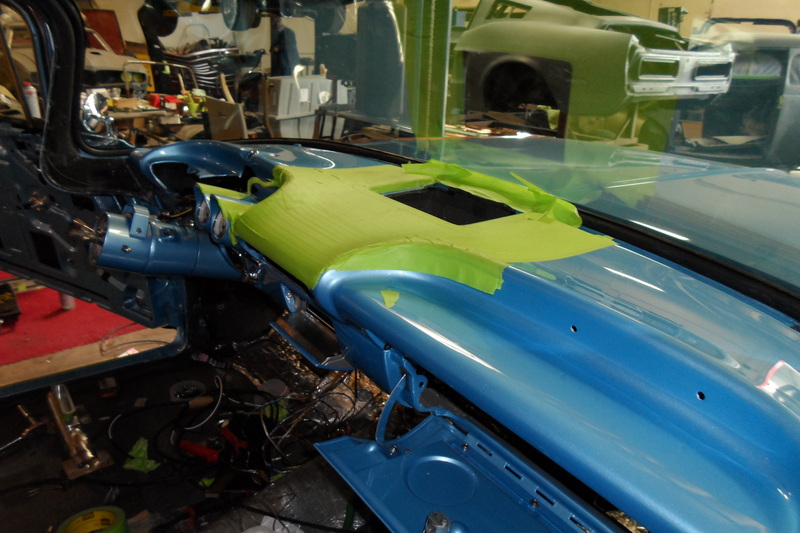 An incredible amount of engineering and design come from our fab department, with the final fit and finish in mind. 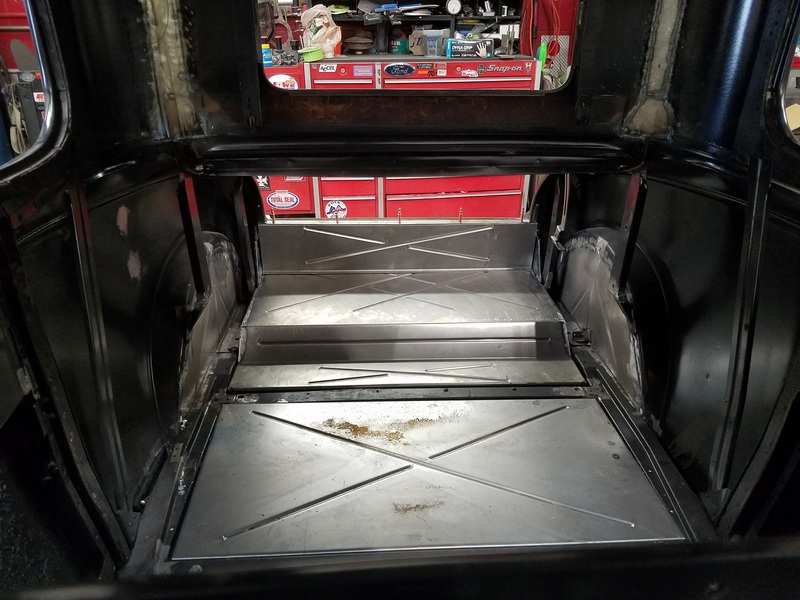 It takes experience to envision the final product and foresee any problems with clearance and performance that may arise. 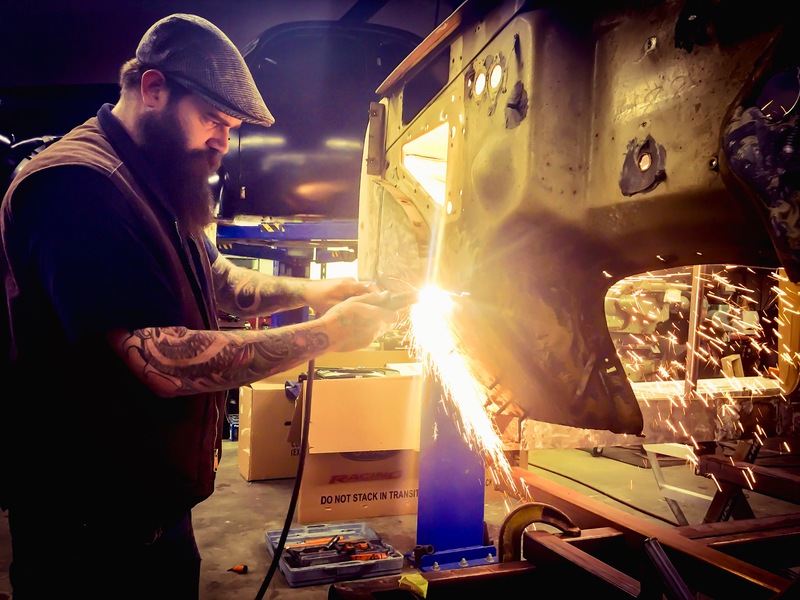 We have built hundreds of award wining cars, and we have the experience to do it right the first time. 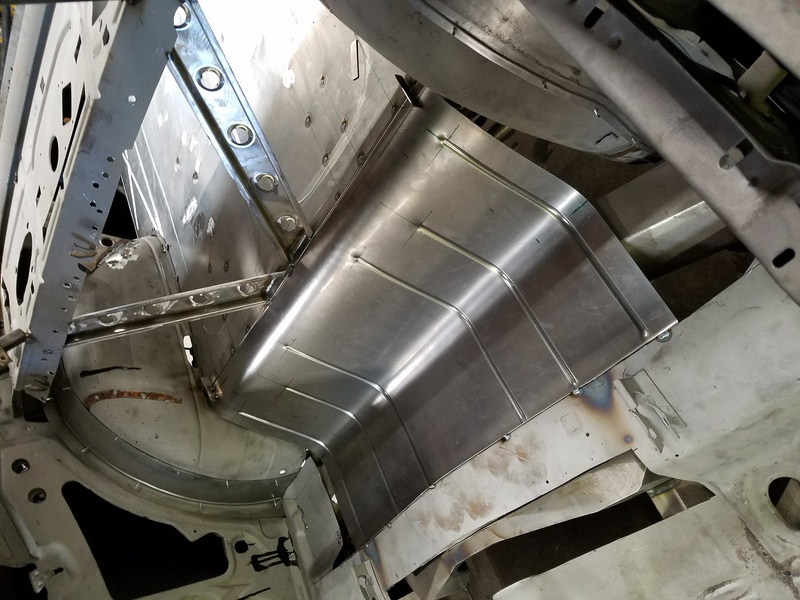 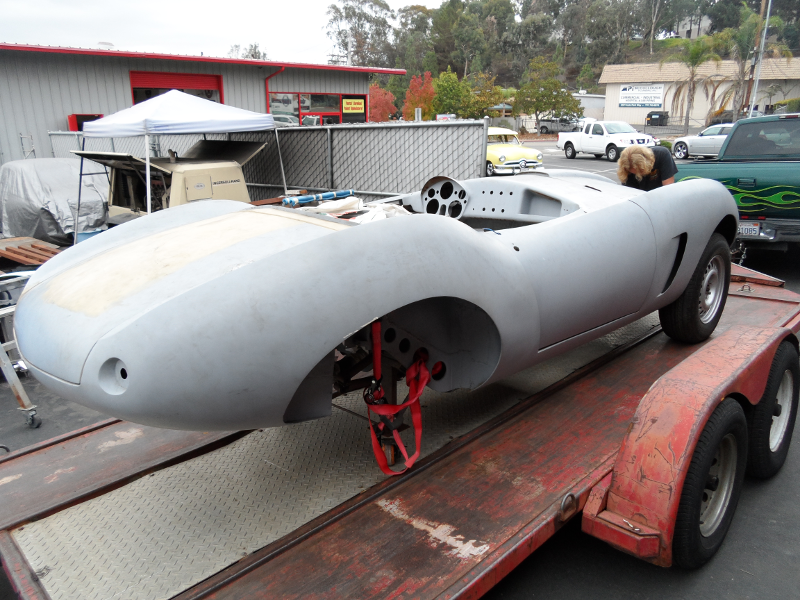 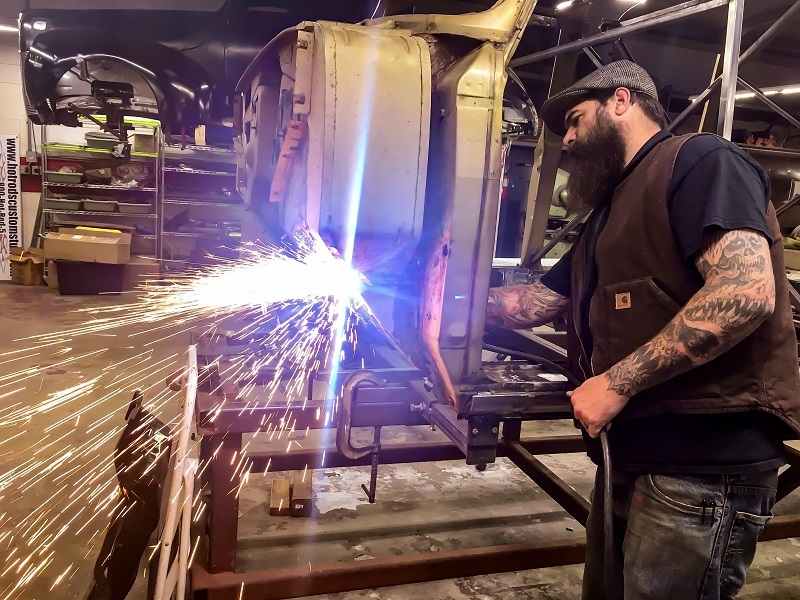 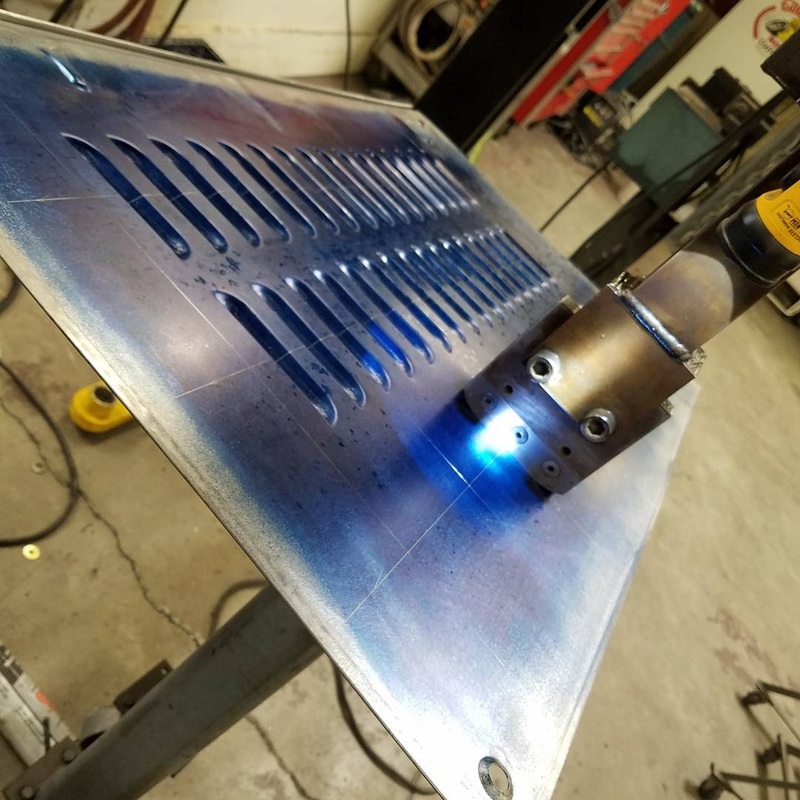 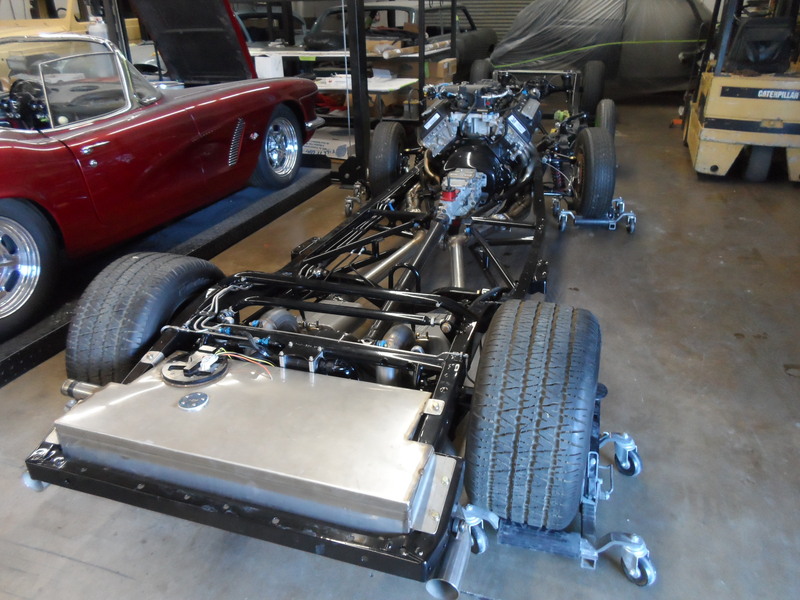 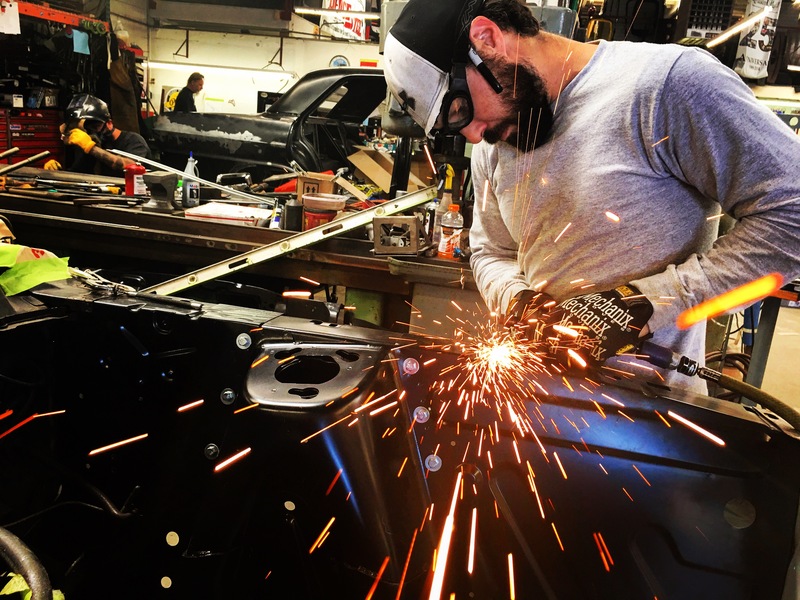 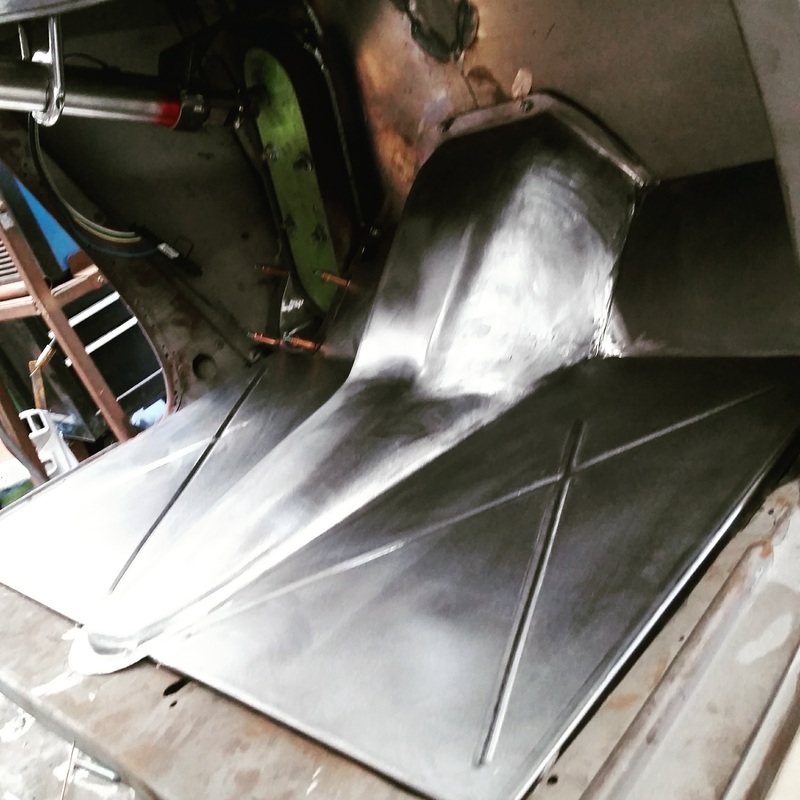 Everything from custom chassis design and alterations, sheet metal repair, roof chops, custom bumpers, etc.... this is a very important part of the process. 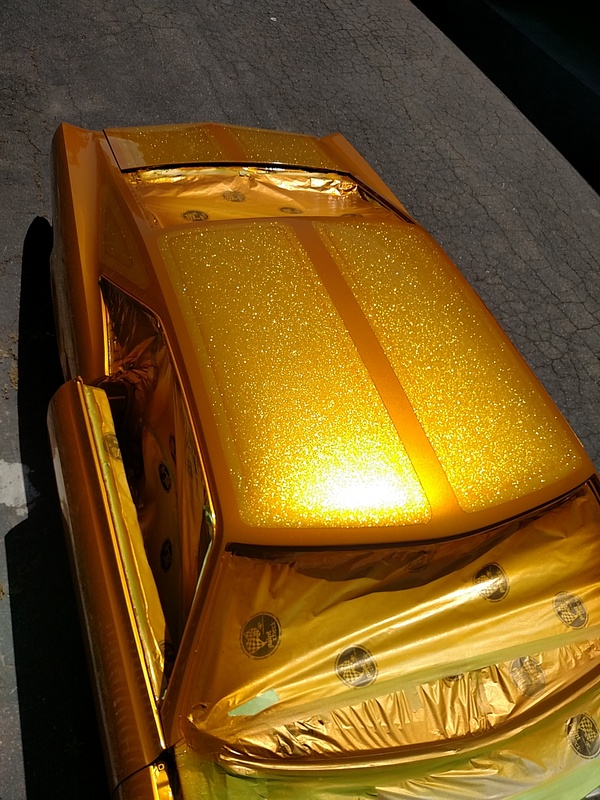 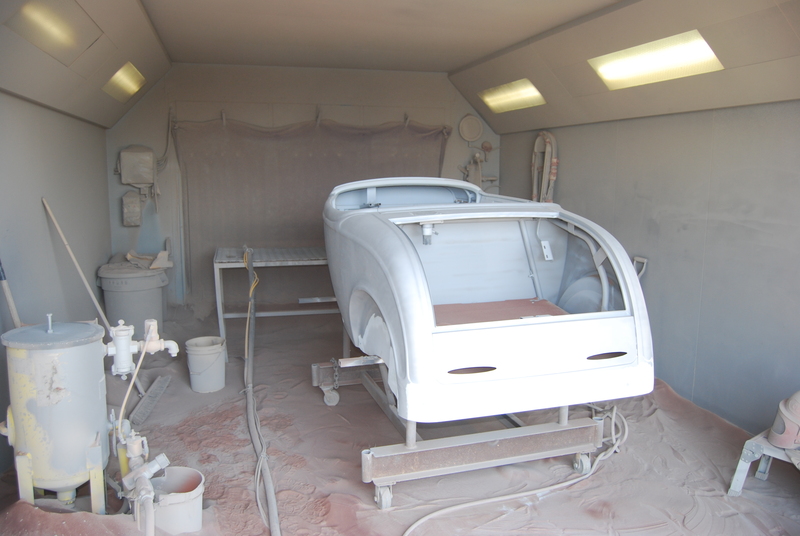 The paint process is obviously an extremely important process of you want a good looking ride. 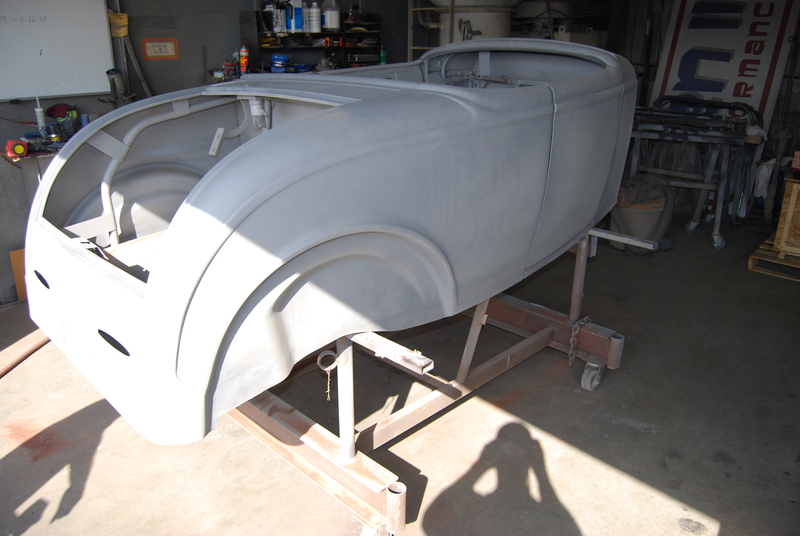 To get a car's lines, door and trunk gaps, hood gaps, bumper gaps, trim, etc. 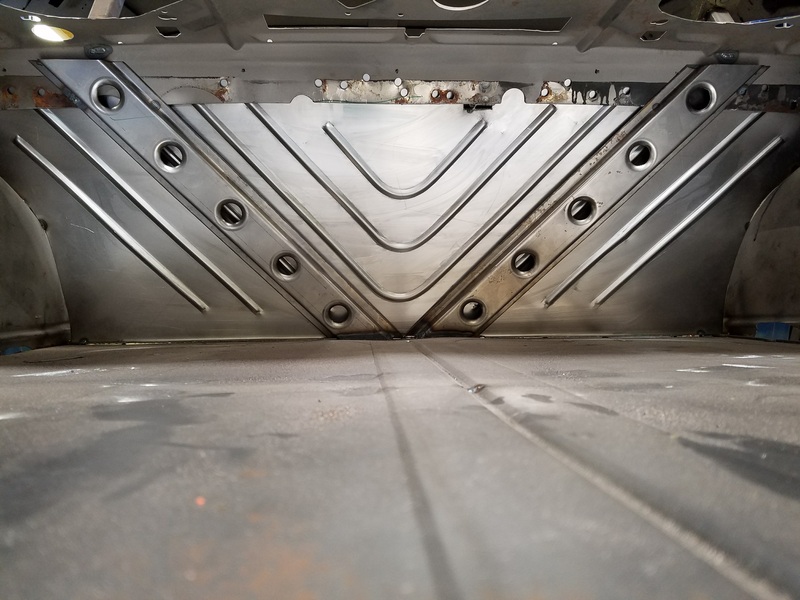 perfectly aligned, it takes talent and man hours to do it right. 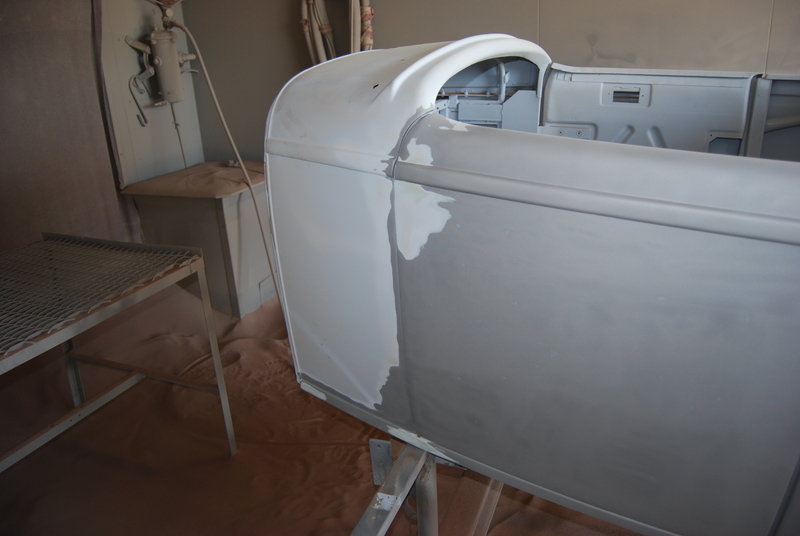 Using state of the art materials and processes helps, but in the end there is just no substitute for experience. 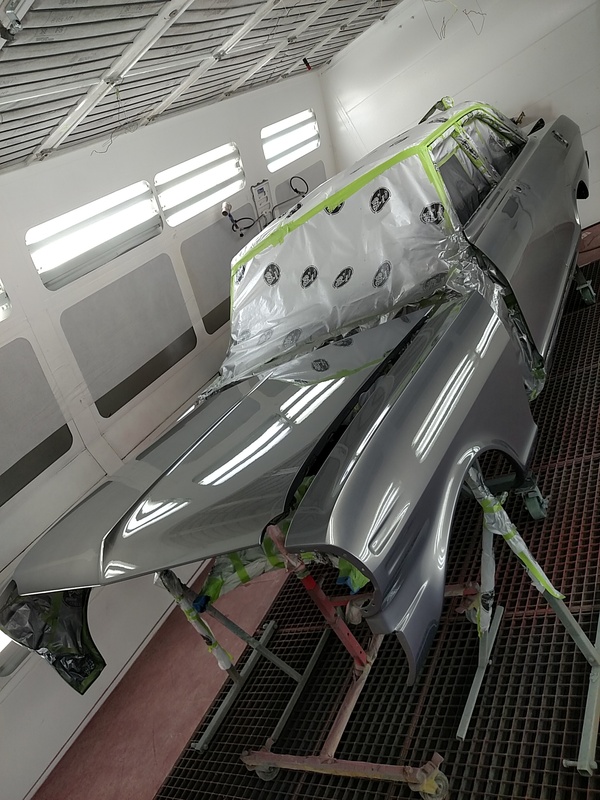 Our paint booths are state of the art, and environmentally compliant with regular maintenance performed. 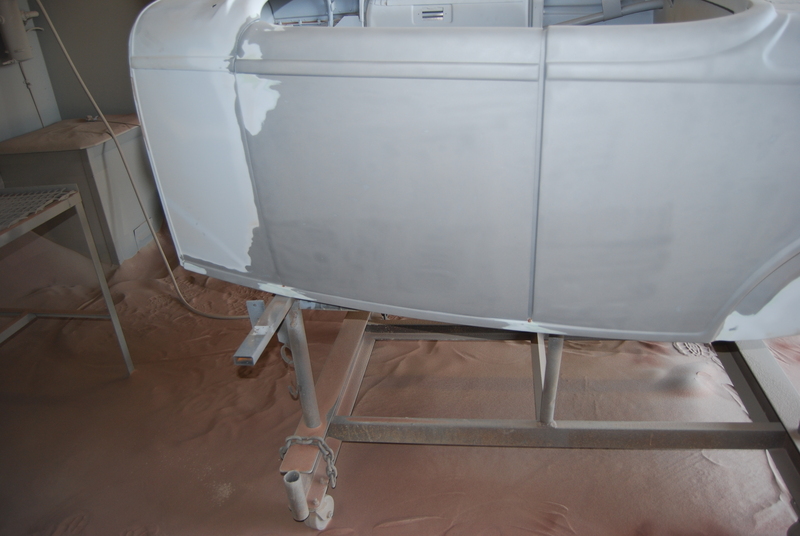 Our compressors that run the paint booths are state of the art as well, and extremely efficient. 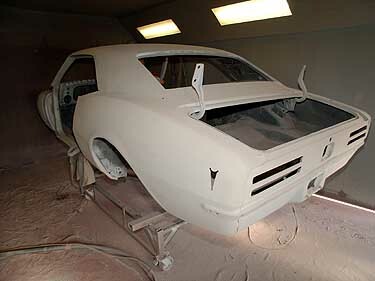 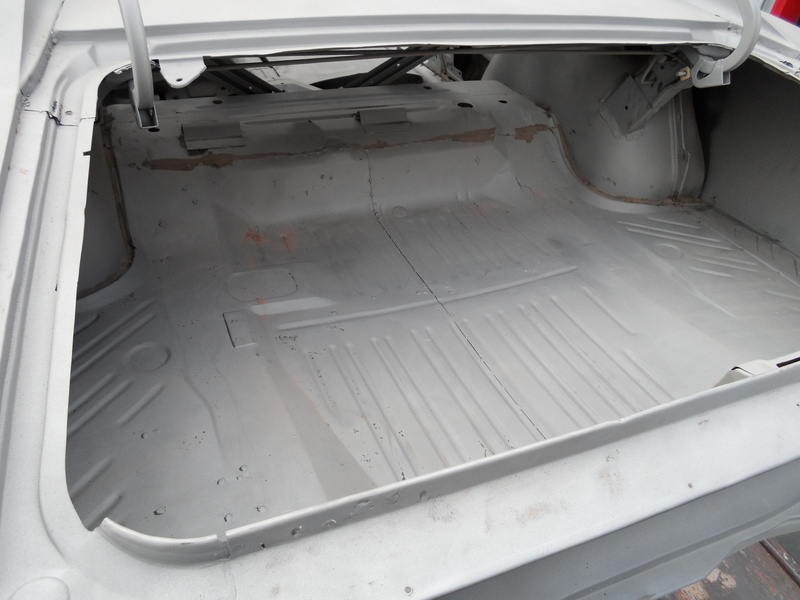 After the the bodywork is laser straight, thick coats of base and clear are applied. 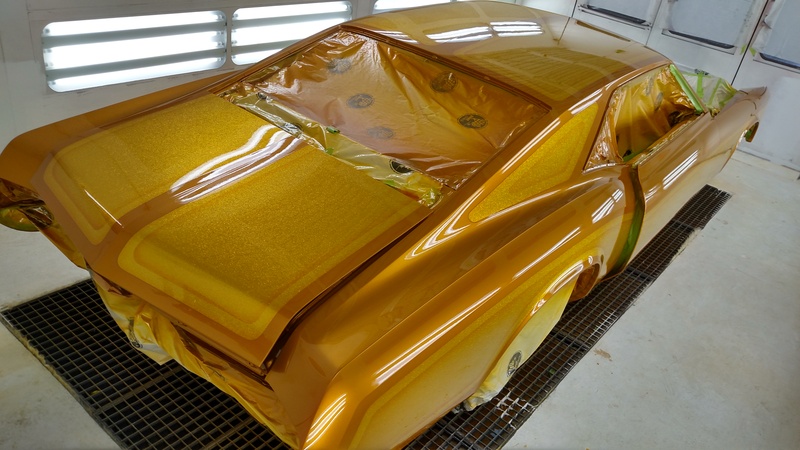 Then, it gets "cut and buffed" for that glass finish. 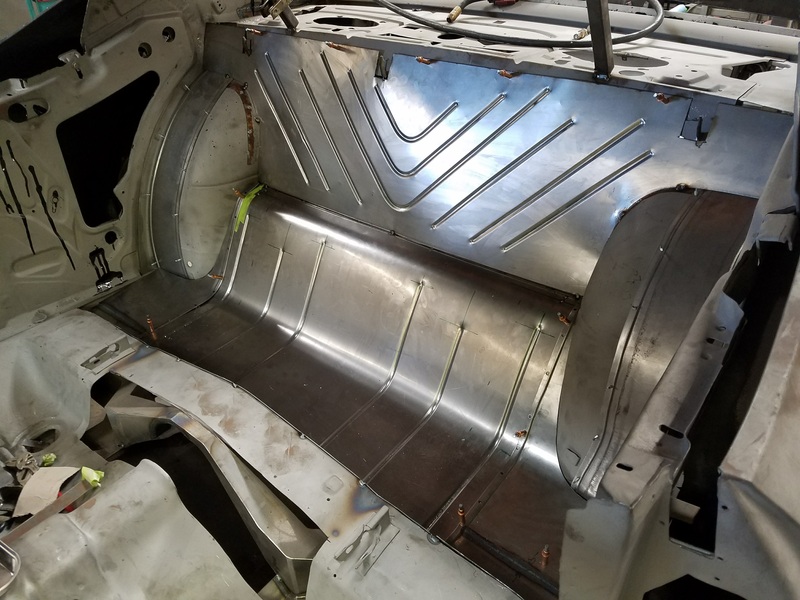 Although at this point the project has been assembled my times for "mock up" to ensure all the parts fit like they are supposed to, the assembly department is essential in overall quality control and the final fit and finish of the build. 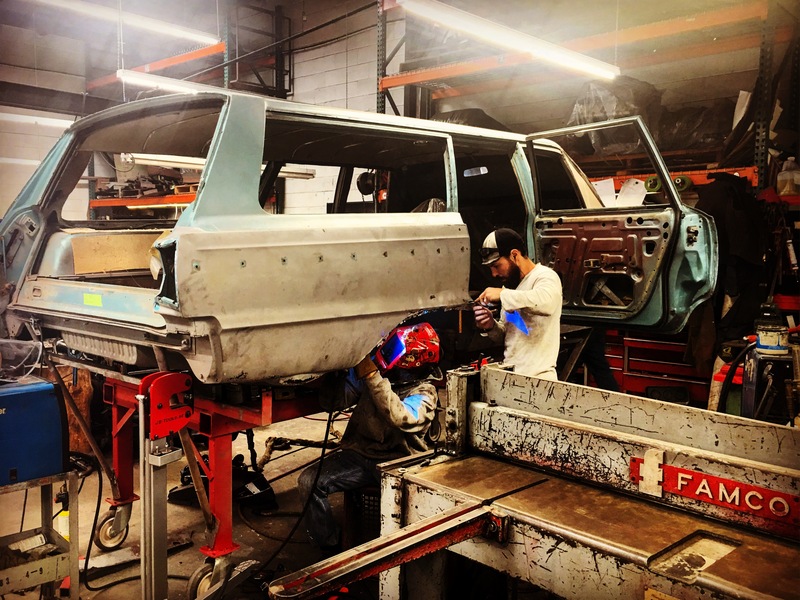 In this process, all departments work together to make sure the end product is the best it can be. 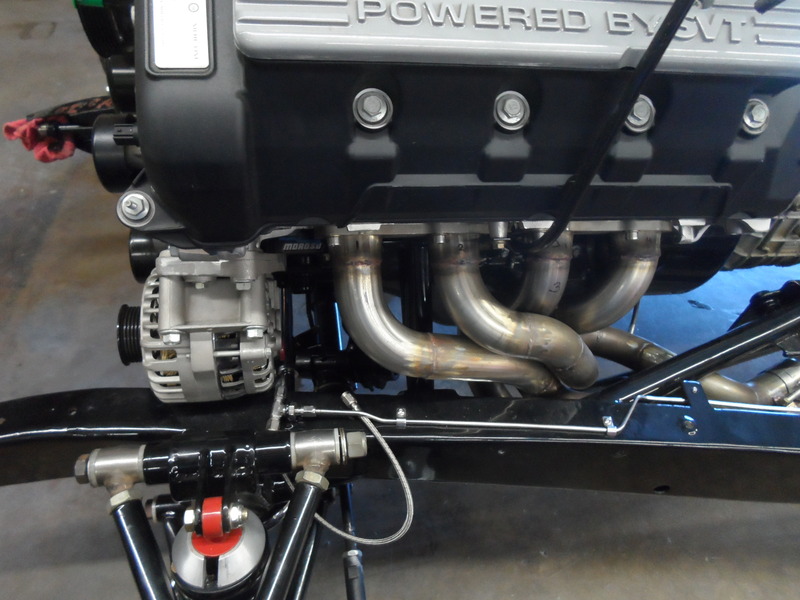 A final test and tune is performed, to make sure the drive-ability is optimal . 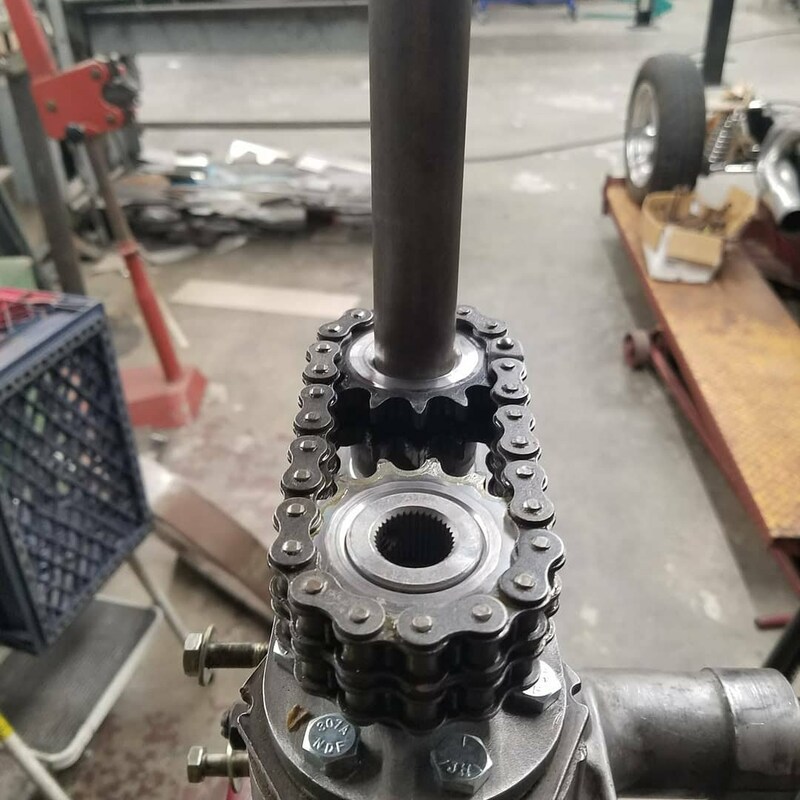 We usually ask for the car to come back after 500 miles for a "nut & bolt" to make sure all hardware is tight and all systems work as they should. 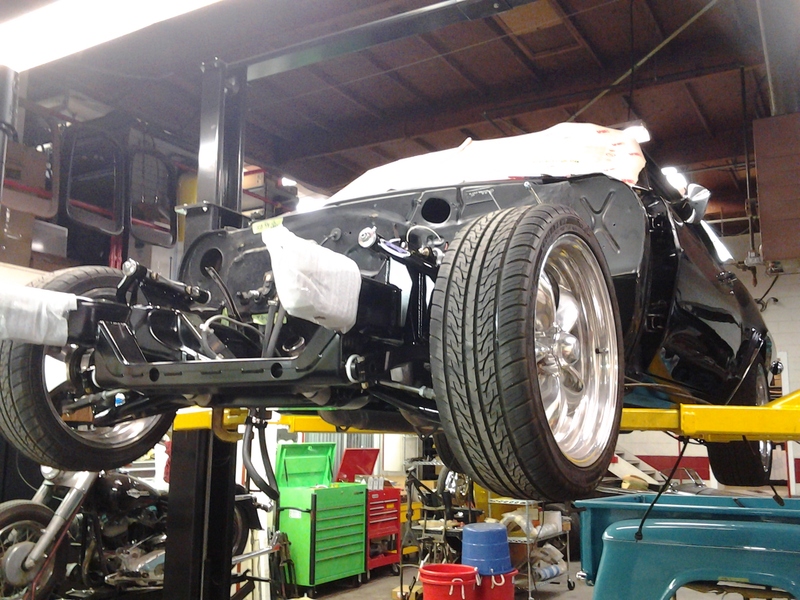 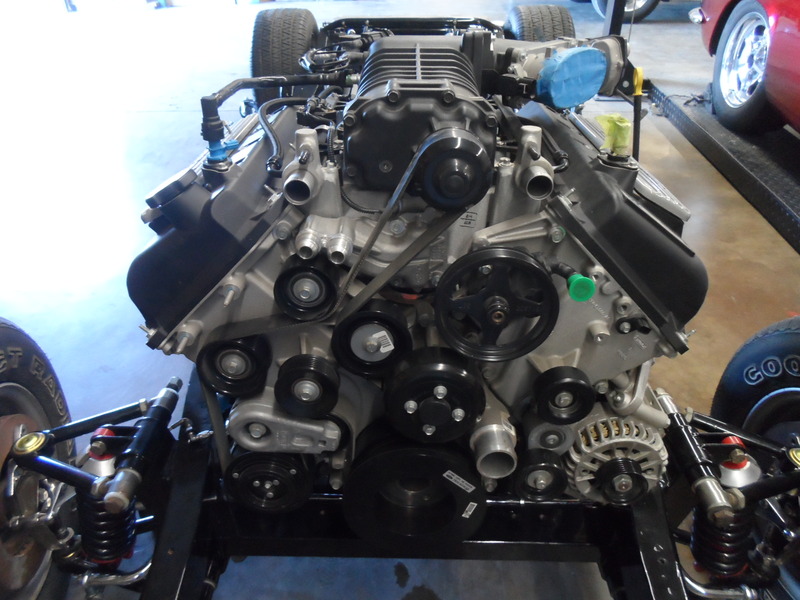 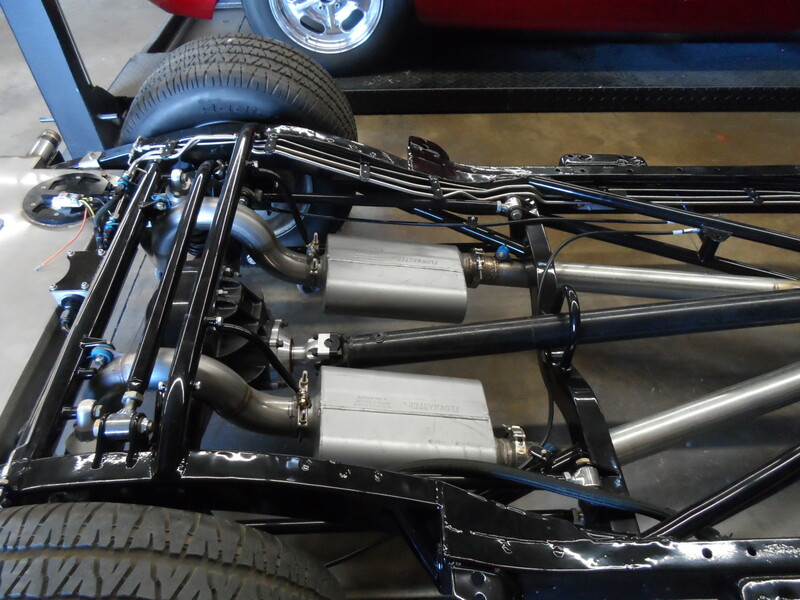 When a build gets to this point, excitement is in the air because the project is nearly complete. 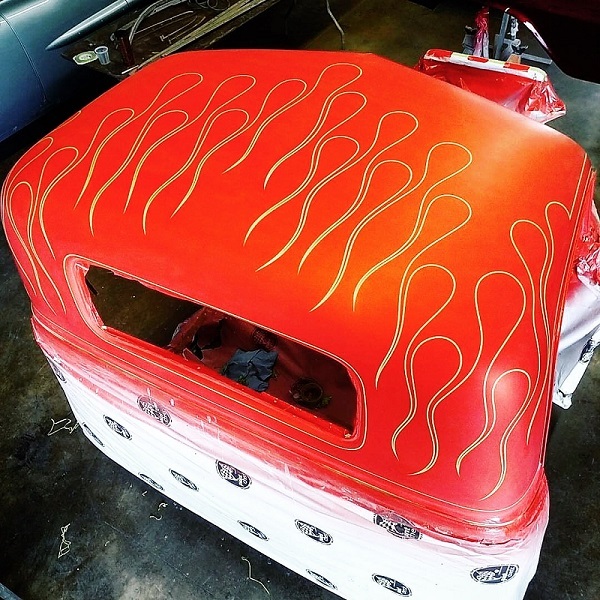 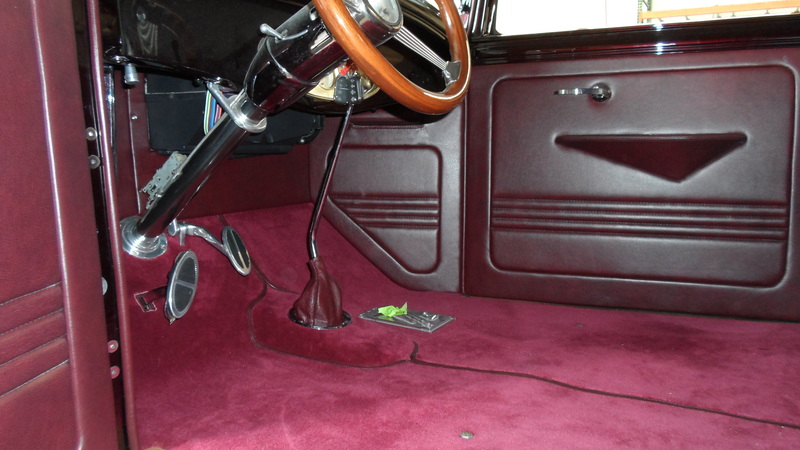 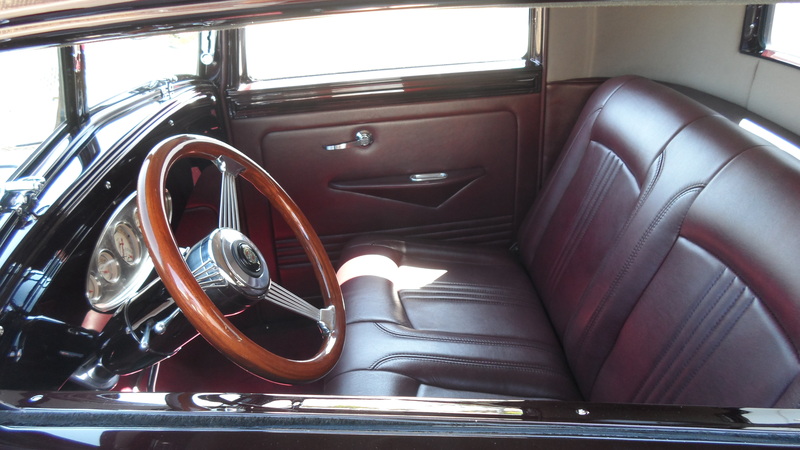 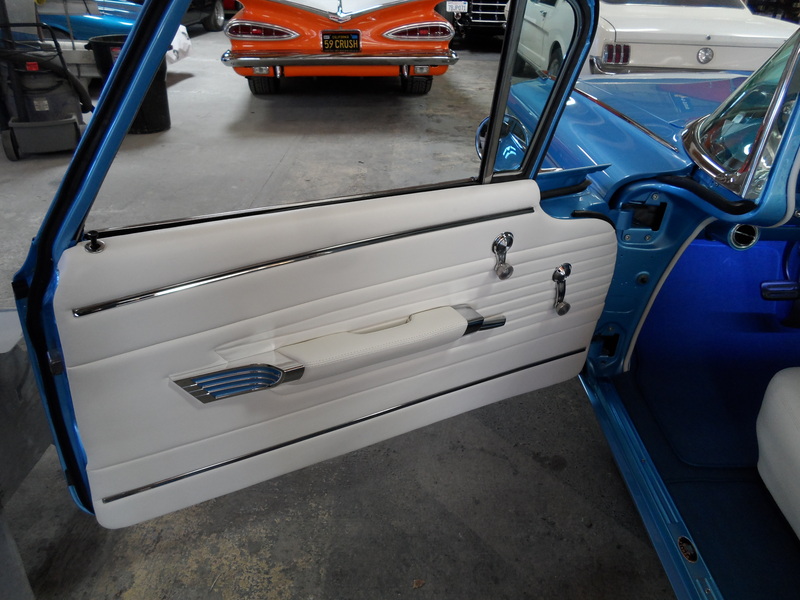 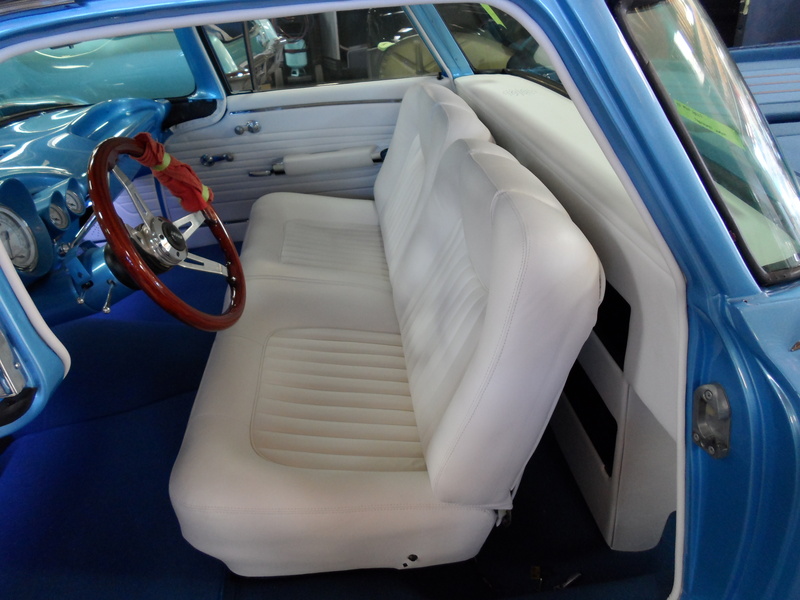 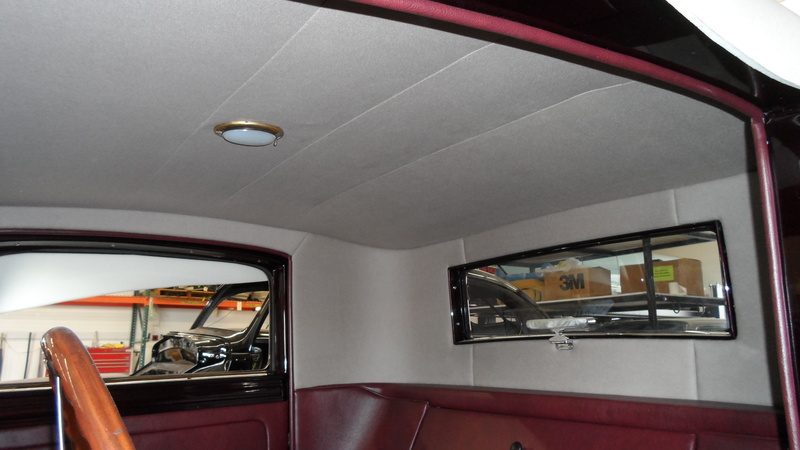 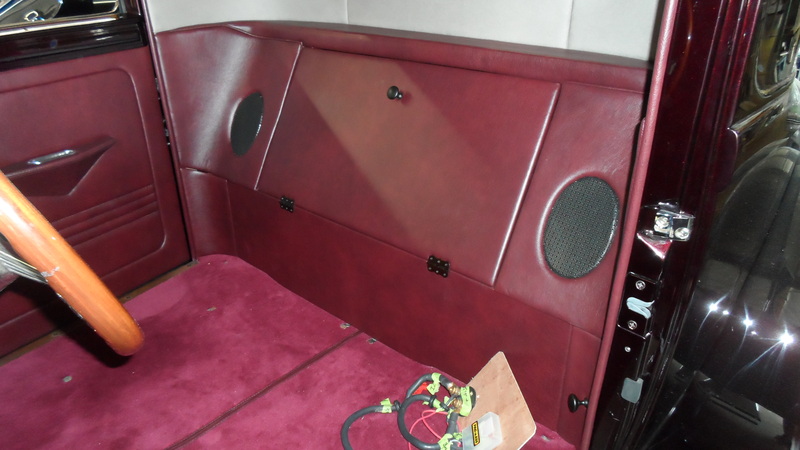 Having "in house" upholstery is very beneficial having the ability to utilize our fabricate and paint departments for any custom interior panels. 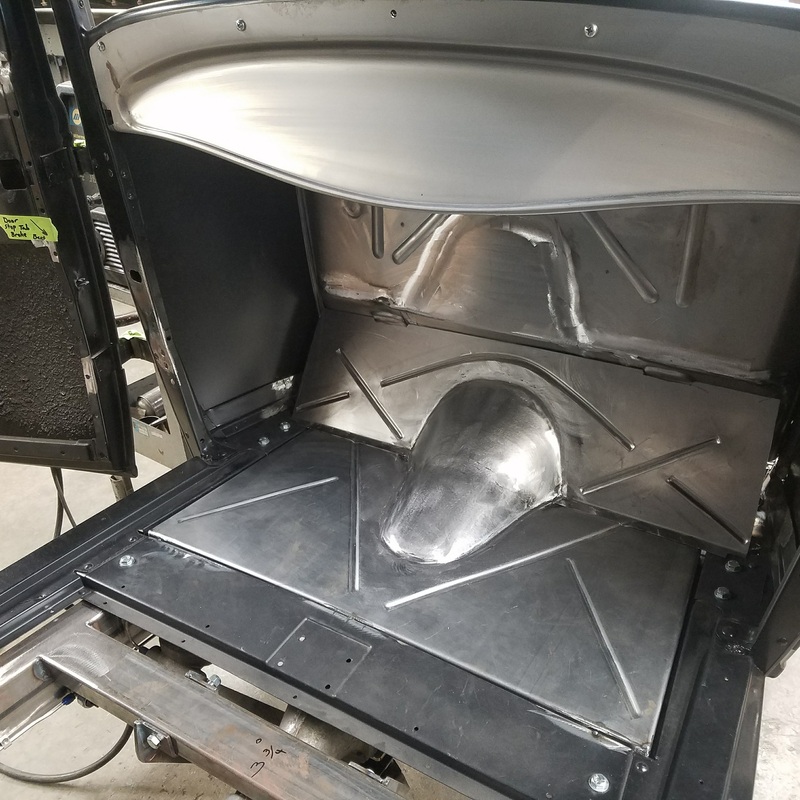 This is a customer hands on process, making sure the seat height, steering column distance, foot pedal clearance and sun visor coverage is exactly what the client expects, and we use only the finest materials available to make sure it holds up to the elements as well as the rest of the build. 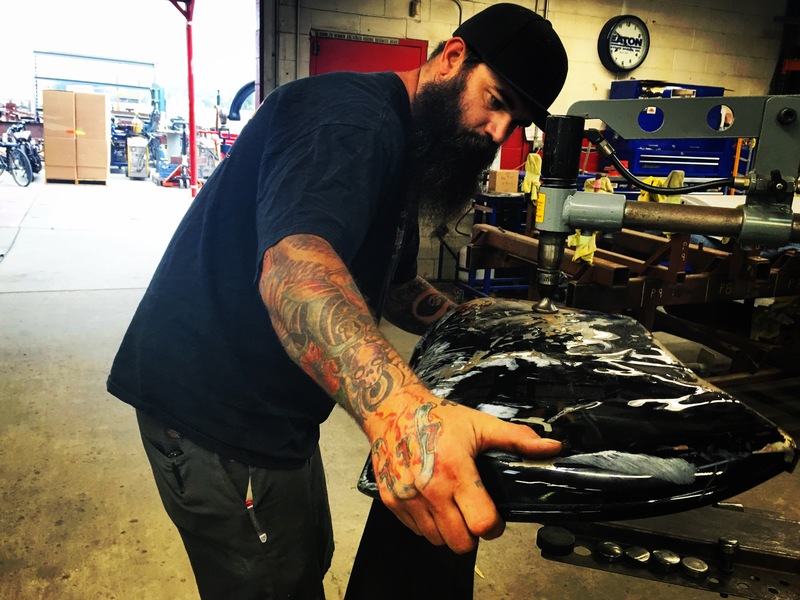 Our mechanical department employs some of the best technicians in the business. 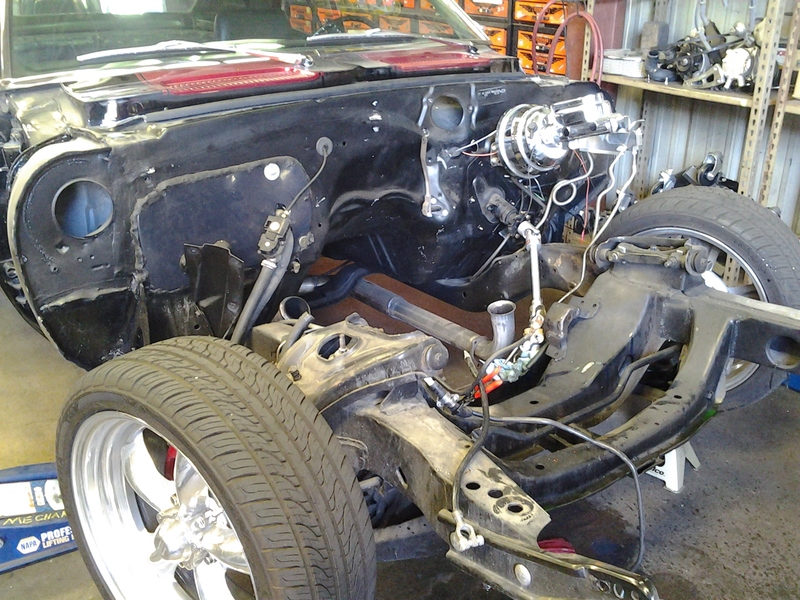 We can swap that automatic transmission for a manual, rebuild or replace engines, add custom fuel injection, you name it. 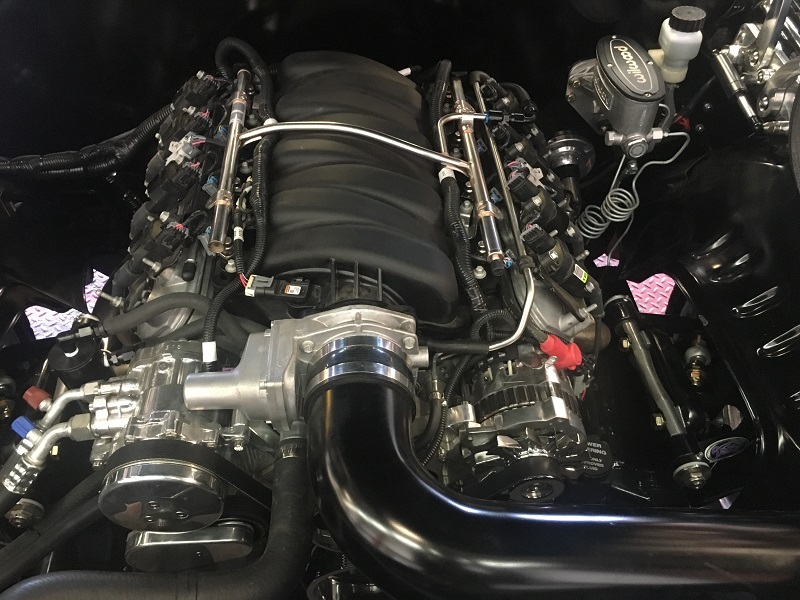 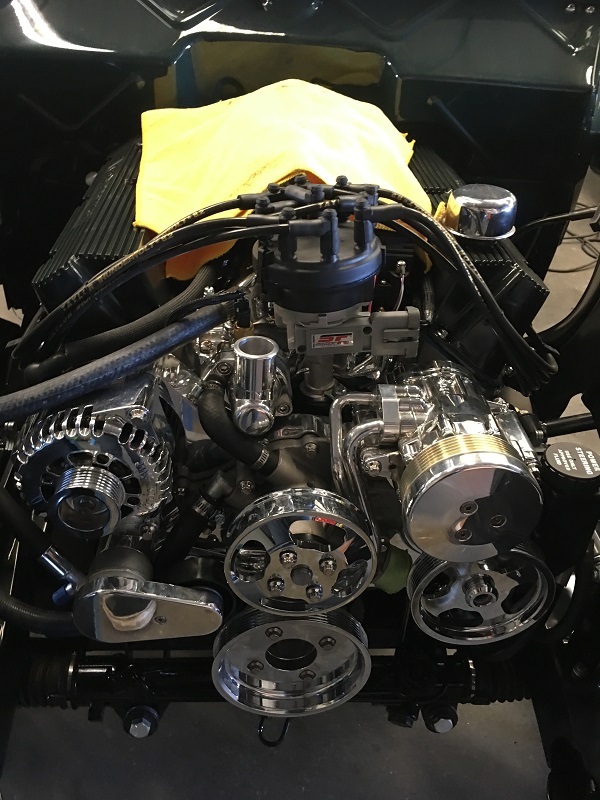 Tuning the distributor springs for better acceleration, changing the metering rods in a carburetor, or plugging a laptop into the ECU we are well experienced with all. 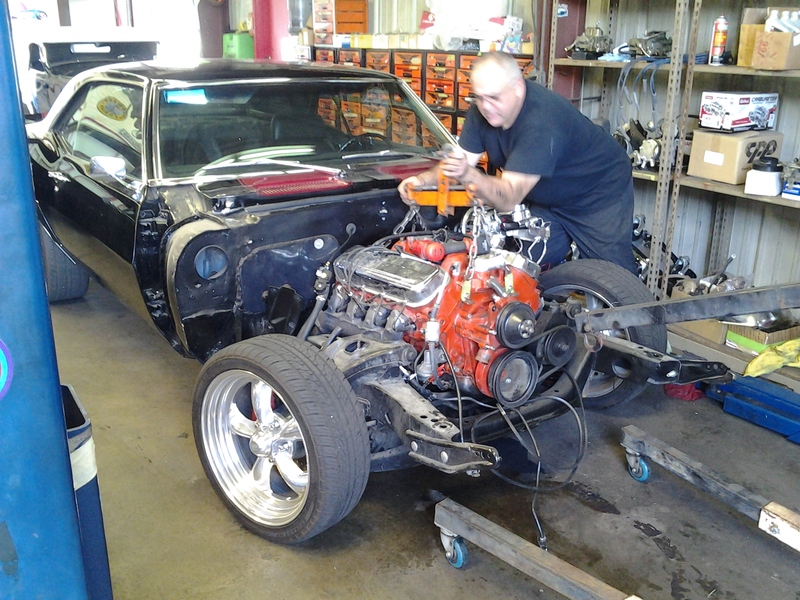 We even have an in house dyno to verify the results. 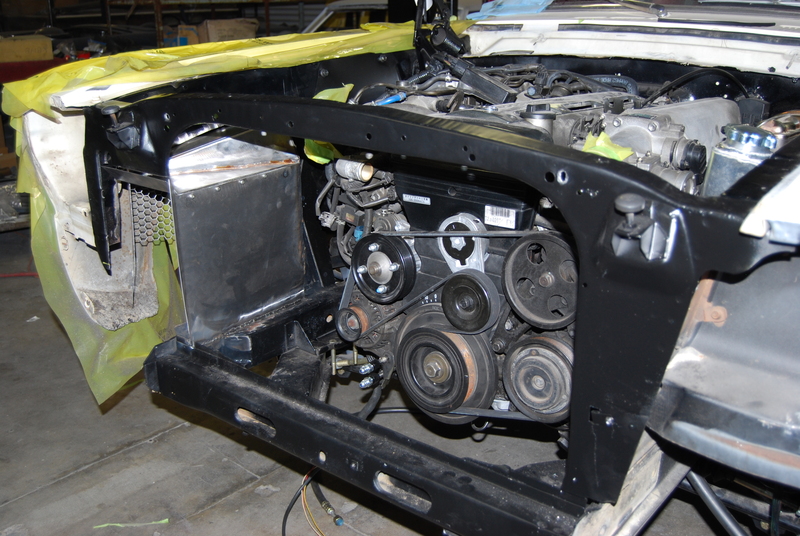 We are glad to do basic service and safety inspections as well, there is no job too small for HR&CS.